- The average monthly income of delivery persons increased to KRW 5.51 million along with the increase of delivery density and volume. The annual volume handled by CJ Logistics exceeded 1 billion boxes for the first time in the logistics industry. CJ Logistics (CEO Park Geun-tae) announced on the 18th that the number of boxes delivered throughout 2017 exceeded 1.05 billion. This is the first in the history of Korean logistics industry for a single company to surpass 1 billion boxes in annual volume. If you line up all the boxes (assuming each side is 50cm) in a row, it amounts to being as long as 520,000 km, which is the same as running the 2018 PyeongChang Olympic torch relay (2,018 km) as much as 261 times. It is equal to 1.4 times the distance between the earth and the moon (384,400 km), and the same distance as driving 634 round trips on Korea’s Gyeongbu Expressway (416km). The logistics industry in Korea has continually grown every year due to the socioeconomic changes such as vitalization of online and mobile shopping or increase of single-person households. According to industry figures, the volume of parcel deliveries in Korea was 2.3 billion boxes in 2017, which shows a 13% increase compared to 2 billion boxes in 2016. As the size of the Korean logistics market has grown, so has the volume handled by CJ Logistics. Last year, the volume handled by CJ Logistics amounted to 1.05 billion boxes, indicating that 3.35 million boxes are being handled every day on average. This reveals a 10-time growth rate in 10 years after exceeding 100 million boxes in 2007, and it is 100 times more than 1997 when 10 million boxes were handled. It is still reflecting double-digit growth every year until recently, and the market share as of 2017 was 45.5%. This indicates that citizens aged 15 or older (43.85 million) received 24 deliveries by CJ Logistics a year. CJ Logistics increased the delivery density of delivery personnel while also increasing their volume. They built a system to deliver a higher volume in a smaller district compared to other companies by thoroughly analyzing the population density and delivery volumes in each region. Accordingly, they could deliver more efficiently and promptly handle the inquiries or requests of customers within the area of responsibility. As a result, the income of delivery personnel is also increasing every year. 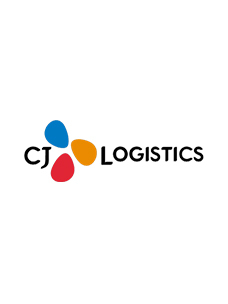 The average monthly income of CJ Logistics delivery personnel in 2017 was KRW 5.51 million, which shows a 30% increase compared to KRW 4.24 million in 2013. The income of delivery personnel occurs in delivery, return or collection of cargo, and the monthly income continues to increase as the delivery volume increases and sales with clients become more active. CJ Logistics is capably handling the delivery volume that continues to grow significantly every year by implementing the latest technological advances, expanding their network and bringing innovation to their operations. CJ Logistics has enhanced efficiency by implementing the latest technology such as the installation of automatic ‘wheel sorters’ in over 100 sub-terminals nationwide. A wheel sorter automatically sorts delivery boxes by region using small wheels. This automatic sorting reduces the workload of delivery personnel and increases delivery efficiency. 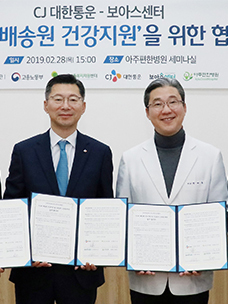 CJ Logistics is also building the mega hub terminal applying the latest technology in Gwangju, Gyeonggi-do to efficiently handle the volume concentrated in the metropolitan areas and also the continually increasing volume of deliveries overall. 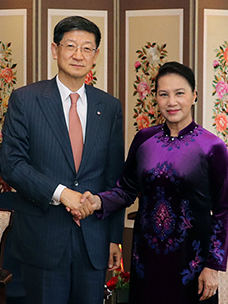 The mega hub terminal, featuring an investment price tag of as much as KRW 400 billion, is the biggest in Asia in terms of facilities and sorting capacity. It is as large as 40 soccer fields if put together, and the conveyor belt for handling cargo is as long as 43 km. Once it is completed in the first half of this year, the national delivery automation system will be complete, thereby improving delivery efficiency and customer accessibility.